I know which side I’m on. Thank you Lord! I was laying in bed last night, pondering the condition of our country. I remembered how after the 9/11 attacks, Americans flooded into churches and pulled together and called on God… for a couple of weeks. Then I thought about how just recently, the shootings in Charleston drew attention to God and forgiveness and people of faith… for a couple of days. 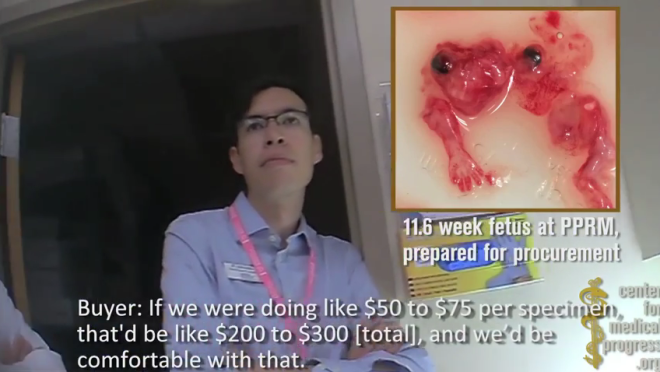 And now, we are seeing one video after another being released (as of today, 4 videos have been released) that shows Planned Parenthood management discussing the prices for various organs and parts of aborted babies.